John Pilger "Never forget that Bradley Manning, not gay marriage, is the issue". "A companion video for "Almost Gone" -- a new song by legendary singer-songwriter Graham Nash and musician James Raymond (son of David Crosby) -- is being released today [12/14/11] in support of accused U.S. Army whistleblower Bradley Manning. The free download is available on Nash's website (www.grahamnash.com) and the Bradley Manning Support Network site www.bradleymanning.org. " WASHINGTON (Reuters) – The Pentagon said on Sunday it had a 120-member team prepared to review a massive leak of as many as 500,000 Iraq war documents, which are expected to be released by the WikiLeaks website sometime this month. WASHINGTON -- Some 90,000 leaked U.S. military records posted online Sunday amount to a blow-by-blow account of six years of the Afghanistan war, including unreported incidents of Afghan civilian killings as well as covert operations against Taliban figures. 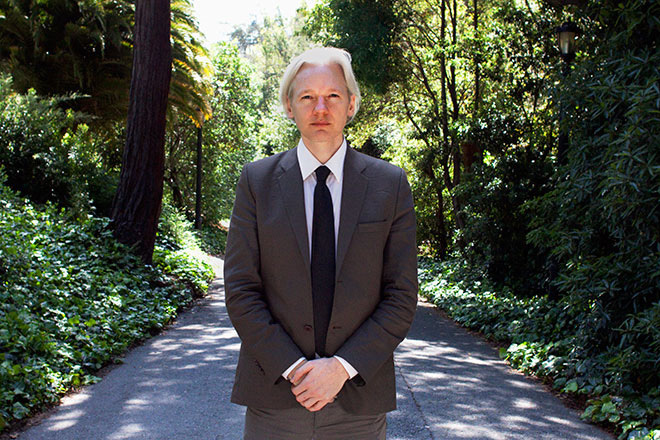 The online whistle-blower WikiLeaks posted the documents on its website Sunday. The New York Times, London's Guardian newspaper and the German weekly Der Spiegel were given early access to the documents. The White House condemned the document disclosure, saying it "put the lives of Americans and our partners at risk." In a statement, White House national security adviser Gen. Jim Jones took pains to point out that the documents describe a period from January 2004 to December 2009, during the administration of President George W. Bush. Wikileaks founder Julian Assange wants a copy of the chat logs in which a U.S. intelligence analyst discussed providing classified materials to the whistle-blower site, according to an e-mail shown to Wired.com by the ex-hacker who turned the analyst in. Assange says he’s arranging the legal defense for 22-year-old Bradley Manning, now in his third week in military custody. In the Friday e-mail to Adrian Lamo, Assange (or someone convincingly posing as him) claims he wants to forward the logs to attorneys he says he’s hired to represent Manning, though the e-mail doesn’t explain why the unnamed lawyers aren’t approaching Lamo directly.